Himalayan states of India - Jammu & Kashmir, Himachal Pradesh adn Uttrakhand have seen heavy snowfall in the month of January (2014). Places like Srinagar, Pehalgam, Gulmarg Shimla, Manali, Dalhousie, Dhanachuli & Ranikhet got snow multiple times during the month. 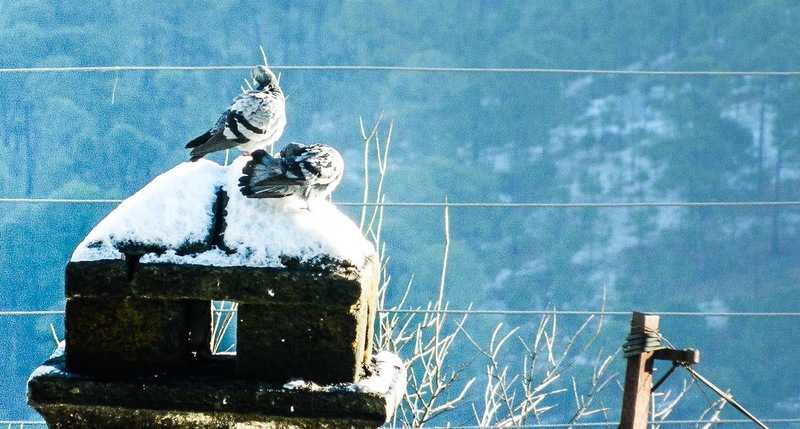 This Photo Journey shares some photographs from Ranikhet with a blanket of snow. Ranikhet is a hill station and cantonment town in Almora district in Uttrakhand state of Indian, which is situated around Himalayan ranges. Ranikhet has Military Hospital, Kumaon Regiment (KRC) and Naga Regiment, which are maintained by the Indian Army. 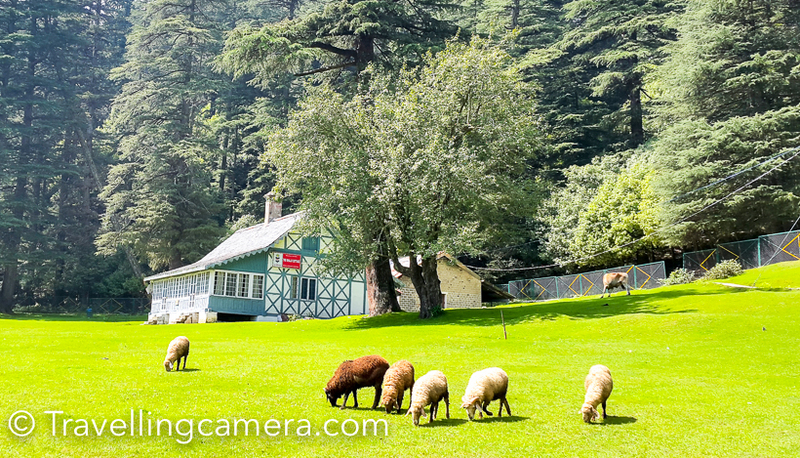 This beautiful town is placed at an altitude of 1800+ meters above sea level and one can see snow covered peaks of the Himalayas throughout the year. And during the winters, this town gets decent snowfall to make the environment more cheerful. 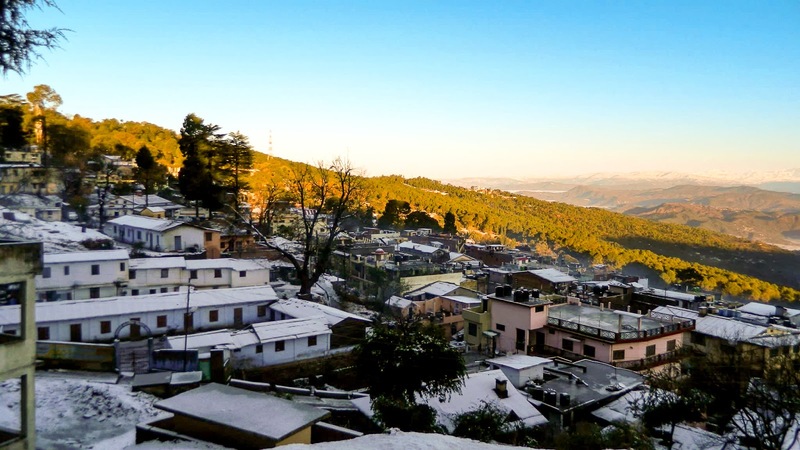 Ranikhet town and areas around it becomes very cold in the winters and remains moderate in summers and is best enjoyed from March to October. 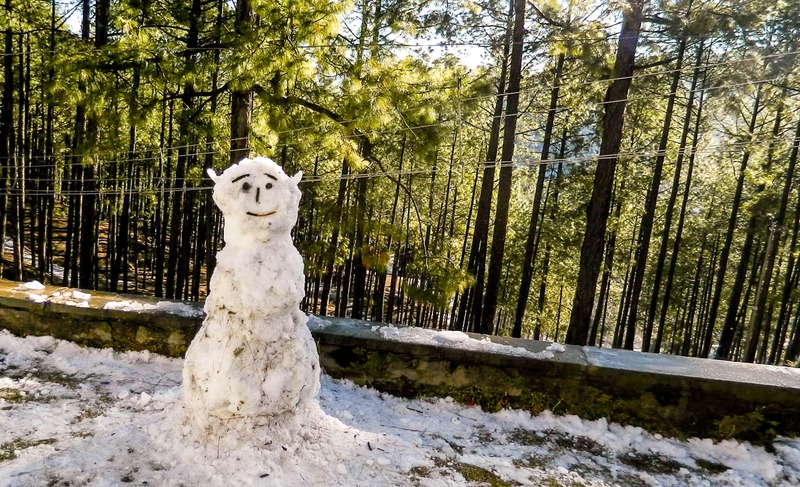 Ranikhet gets snowfall in the winter season, mainly in the months of December, January and February. And in rest of the months the weather of Ranikhet remains pleasant. 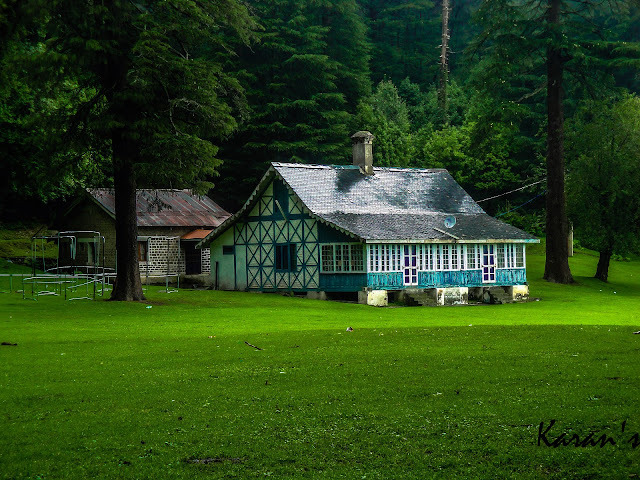 Visiting Ranikhet during summers is a must and at the same time an experience during winters is also recommneded. Ranikhet has a very special feel of hill station with adjoining cantonment area. 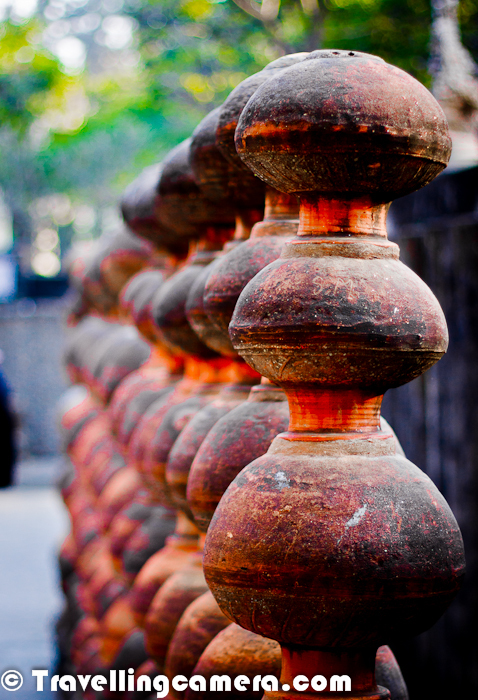 Whole town is very well maintained and as you climb up, there is huge cantonment area with an army museum. 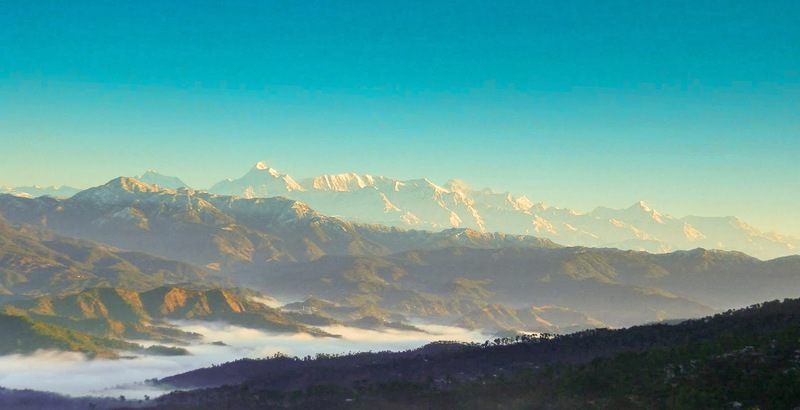 Lush green hills of Ranikhet with some lovely views over the distant Himalaya make it more special. While you are walking on main road of Ranikhet, white Himalayas are always on one side. One of the focus in Ranikhet town is a busy market. Ranikhet hills are surrounded by high trees of pine, oak and deodar. 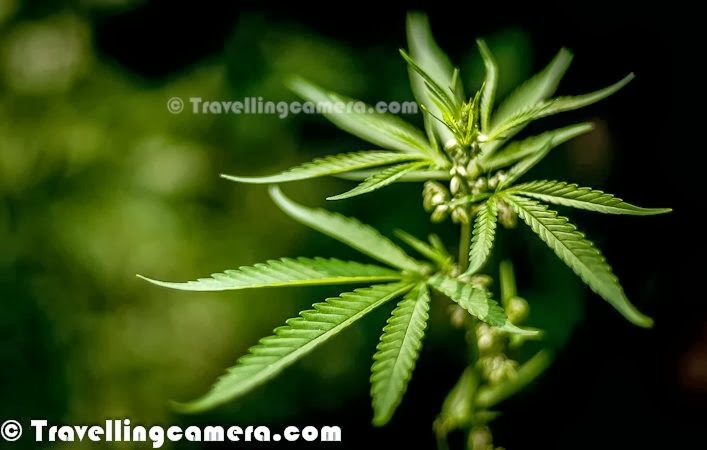 Wildlife around ranikhet includes leopard, leopard cat, mountain goat, barking deer, sambar, pine marten, Indian hare, red-faced monkey, jackal, langur & fox etc. Some of the colorful birds can also be found as you move to the peaceful places around Ranikhet. If you are in Ranikhet during Apple season, you may also want to visit some of the apple orchards around the place, which is very unique experience. 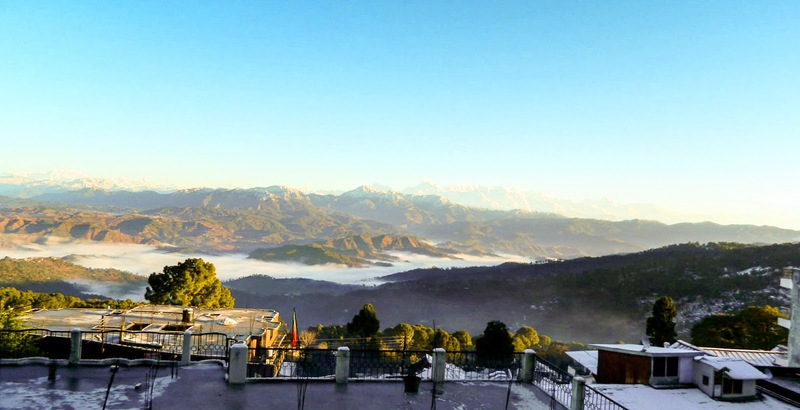 When I think about Ranikhet, the peaceful walks come to my mind apart from a military museum and beautiful views of snow covered Himalayan peaks. 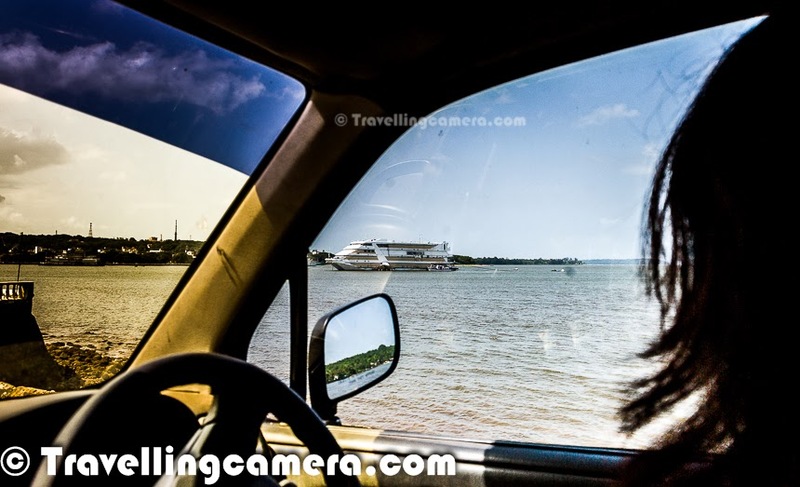 Although there are few more attractions have been discovered and marketed in last few years. And that's the good part that you have nothing much to do in the town and you get lot of time at peace. 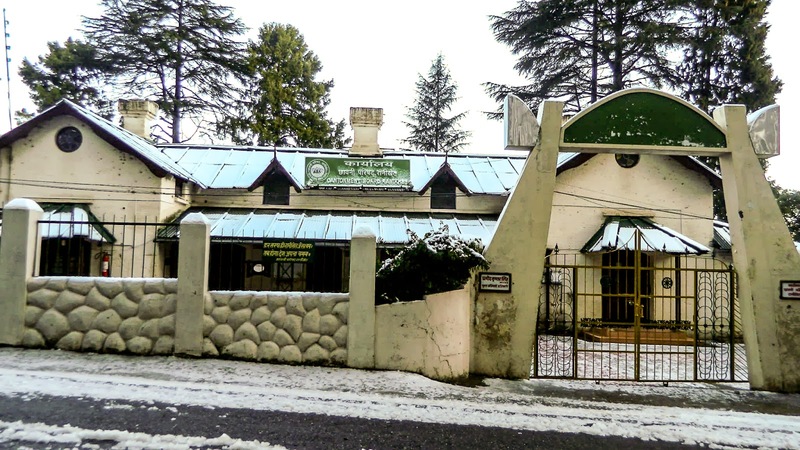 You can find some heritage properties around Ranikhet at reasonable rates and negotiation is quite easy in other hotels as well. Ensure that you plan it better. These pics are having a hypnotic effect on me! Thanks .. Sorry but these pics were taken by my friend ..however I feel proud about the fact that Ranikhet is my hometown .. Thanks ..these pics were taken by a friend however I feel privileged to say that Ranikhet is my hometown ..